Around the Delaware River Towns, Holiday events aren’t hard to find! Whether it’s walking through the haunted houses of Lambertville or Christmas lights at Peddler’s Village, you can’t go far without finding festive fun. With Valentine’s Day right around the corner, make sure you get your reservations in on time. Let’s check out a local restaurant having a Valentine’s Day treat for you and your special someone! You’re in for a romantic treat for Valentine’s Day at the Login Inn! With the Holiday approaching fast, call in today and reserve your seat at the table. Offered on February 14th, 15, & 16th, only 70$ gets you an experience you won’t soon forget. For those looking to stay overnight with your queen/king, the Logan Inn offers luxurious stay packages for $240 – $260. The Valentine Day package includes a fabulous three-course dinner with champagne ready to be popped! After your meal, win her heart over even more with chocolates that will be waiting for you back in the room. 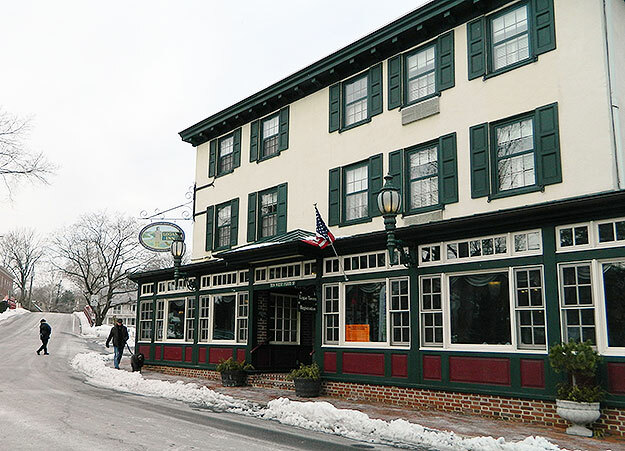 Found right in the heart of New Hope, The Logan Inn is well known for its historic charm. The local community has always embraced the Inn for its prestigious food and classy events. Take a look at the menu here and see for yourself why we are so excited for Valentine’s Day at the Login Inn.